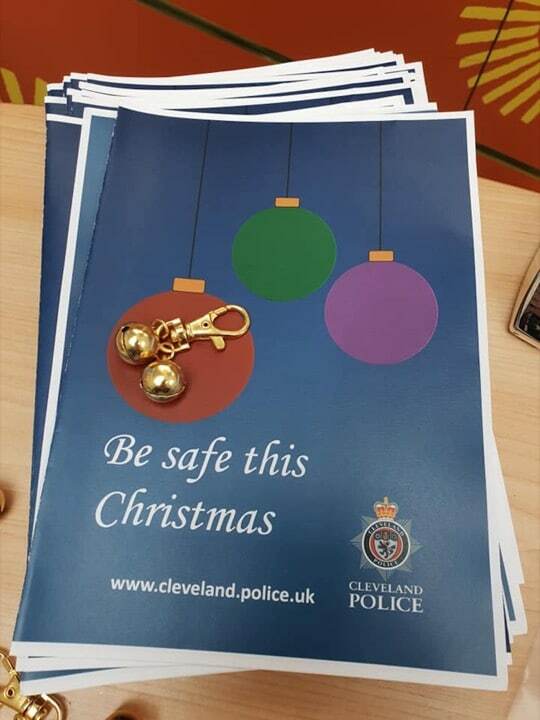 Cleveland Police has launched a Christmas ‘Stay Safe’ campaign this winter and held a hugely successful event at Middleton Grange focussing on personal safety while out and about over the festive period. Throughout the day, the team were handing out free purse bells – a keyring which has a small bell attached to it with the aim of deterring pickpockets – as well as leaflets and advice to shoppers. The event was part of a winter long initiative which highlights the importance of taking extra care on a day to day basis, whether it’s at home, online or vehicle safety. Kelly Close, Crime Prevention Co-Ordinator, said: “Myself and my colleagues would like to say a big thank you to Middleton Grange for allowing us to run this event at the centre. It was a big success and we were able to hand out more than 200 bells and 100 RFID card protectors to the community. Purse bells are designed to be attached to a purse or bag and if someone tries to tamper with a bag or steal a purse the bells alert the owner with an audible warning. RFID card protectors are a shielding sleeve that fits over any contactless bank and credit cards and prevents any contactless transaction until you remove them. Mark Rycraft, Middleton Grange Shopping Centre manager, said: “This is always a great time of year to have fun with friends and family but it’s also so important that we are also not putting ourselves in a vulnerable situation. We were delighted that we were able to welcome the Cleveland Police to the centre to offer advice to our customers and we fully support its ongoing winter campaign. For more information on the Cleveland police ‘Stay Safe’ campaign, please visit the Cleveland Police website.